For used car dealerships, Craigslist can be either a blessing or a curse. Sloppy or poorly executed ads can waste time and send potential buyers scurrying—but with the right approach, you can use Craigslist to move inventory and get more foot traffic in your showroom. But what should used car dealers know about leveraging Craigslist effectively? In this post, we’ll share four general tips for making your ads more effective. This may sound a bit corny, but your Craigslist ads should tell a story. They should walk your buyers through the value the particular car has to offer and help them get a good sense of whether or not it’s the right car for them. This requires you to be thoughtful and organized as you write your ad copy; nothing is less appealing to potential buyers than a jumble of random facts and data points. This, in turn, will require you to put some time into each ad, and to carefully consider what you should include and what you should cut. Buyers will see right through your vague, overly general ad copy—so saying something about how your used Honda is “just like new” or has “incredibly low mileage” will probably blow up in your face. Instead, use specific numbers. Include the year, make, model, mileage, and any other specific data points that will help buyers to know the vehicle a little bit better. Specificity builds trust; it helps buyers see that you’re willing to shoot straight with them. The key question that should guide your Craigslist copywriting: What’s in it for the buyer? As you develop ad copy, use buyer personas to determine the target audience for the vehicle in question. Then, create ad copy that’s tailored to that audience, highlighting the most important value points and user benefits. If you’re trying to sell a family vehicle whose primary virtues are spaciousness and safety, make those the hallmarks of your ad copy—because that’s what your target buyers most want to know about. A final point to consider is that you’re never just selling a car. You’re also selling your dealership, and it’s important that your ad copy highlight your trustworthiness and professionalism. Remember that there are other places where someone might buy a used Toyota Camry or Chevy Equinox—so give them a reason to buy it from your dealership, in particular. Awards, accolades, testimonials, and guarantees can all be useful trust signifiers. 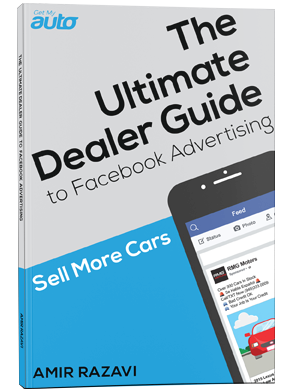 The bottom line for dealerships is that Craigslist can be a powerful sales platform, but only when it’s leveraged properly. 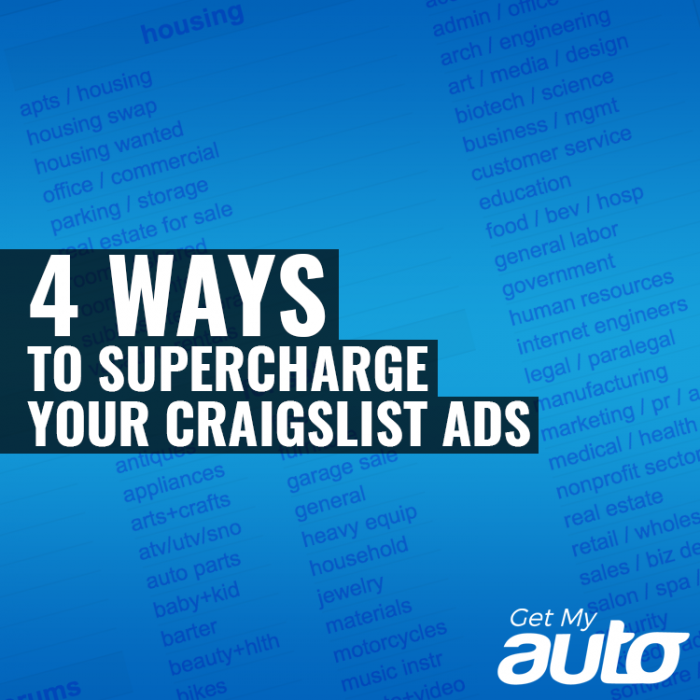 Get My Auto can help you develop Craigslist ads that drive sales and improve your bottom line. To learn more about our used car dealership marketing services, reach out to Get My Auto today.